The top lip balm brands make beauty products like lip balm, lip salve, lip creams, medicated lip balms and lip balms with SPF ranging from the most expensive, exclusive lip balm brands to the more affordable lip balm brands. 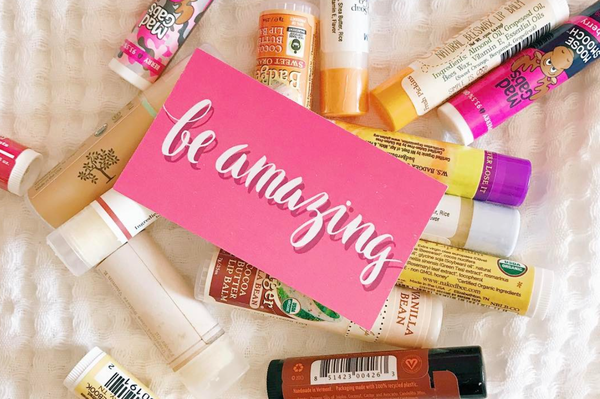 Some brands are better than others but these best lip balm brands stand above and beyond the rest while making you look like a million bucks without spending that much. Like all things, sometimes just because something is more expensive does not mean that the quality is better, and some of the best lip balm brands are not the most expensive lip balm brands. This goes for chapsticks and lip moisturizer, but is also true that sometimes paying less is not worth getting an inferior product. Because of all of this, it's often a good idea to perform some trial and error with the products to decide which you think is the greatest lip balm brand. Company A may sell absolutely killer medicated lip balm, but their chapstick just doesn't cut it. Company B has SPF lip balm you cannot live without, but their lip salve leaves a lot to be desired. Nothing says you must stick with one lip balm brand for everything. Mix and match your sunblock, lip balm and chapsticks to find a combination perfect for you in your quest to stop chapped lips. We've all made regretful lip balm purchases, but with this user ranked list of lip balm brands, should you run into a dud, you can vote down the chapstick products that aren’t worth the money and time so other lip balm users don’t run into the same lip balm problems. If you don’t see your favorite lip balm brand or the brand you consider to be the best lip balm brand, make sure to add it to the list so other lip balm users can discover your favorite lip balm brands.